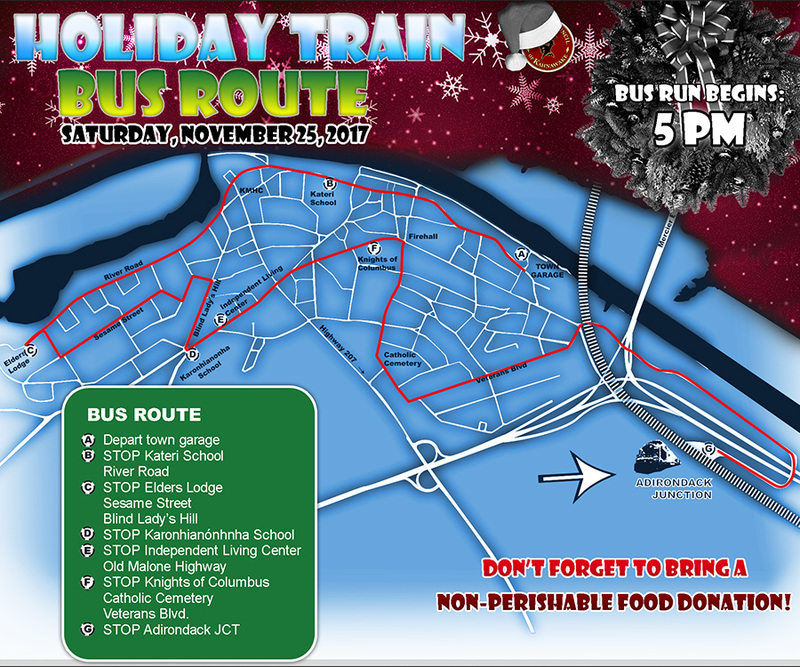 The Public Works Department of the Mohawk Council of Kahnawà:ke is pleased to announce an addition to tomorrow′s CP Holiday Train Shuttle Bus route. The bus still leaves the Town Garage at 5 pm and follows the original route (see map below), but once leaving the village area the bus will head east on Route 132, turning right at the lights at KSS to Mohawk Trail for a pickup at the South Texas Crossing (before the tracks). It will then head west, on to the Clay Mountains, and finally Adirondack Junction. A better quality version can also be viewed on the home page at www.kahnawake.com .